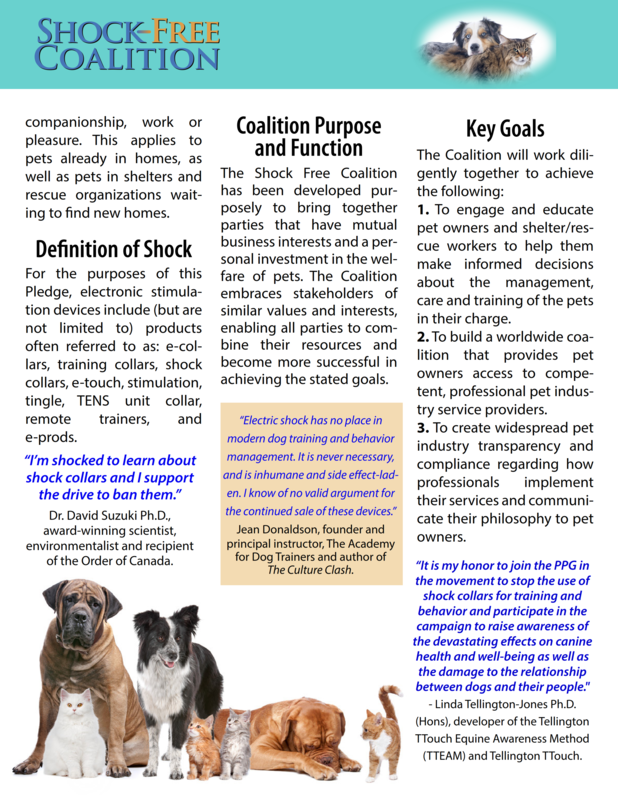 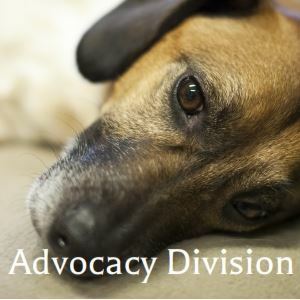 “It is my honor to join the PPG in the movement to stop the use of shock collars for training and behavior and participate in the campaign to raise awareness of the devastating effects on canine health and well-being as well as the damage to the relationship between dogs and their people." 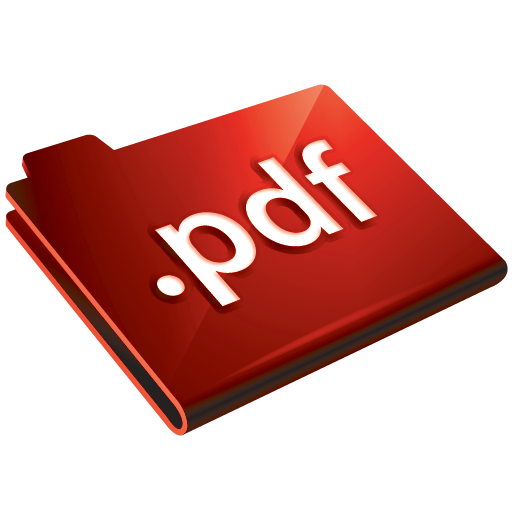 - Linda Tellington-Jones Ph.D. (Hons), developer of the Tellington TTouch Equine Awareness Method (TTEAM) and Tellington TTouch. 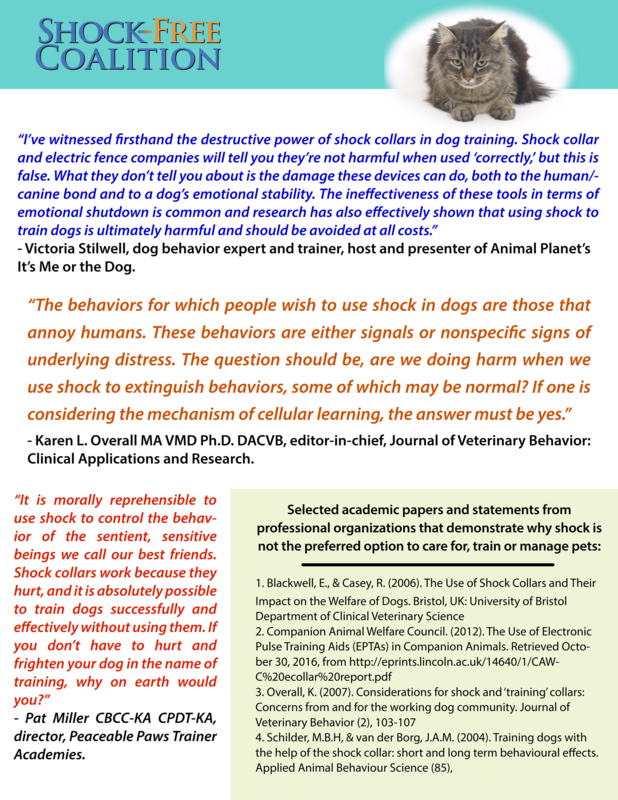 “I’ve witnessed firsthand the destructive power of shock collars in dog training. 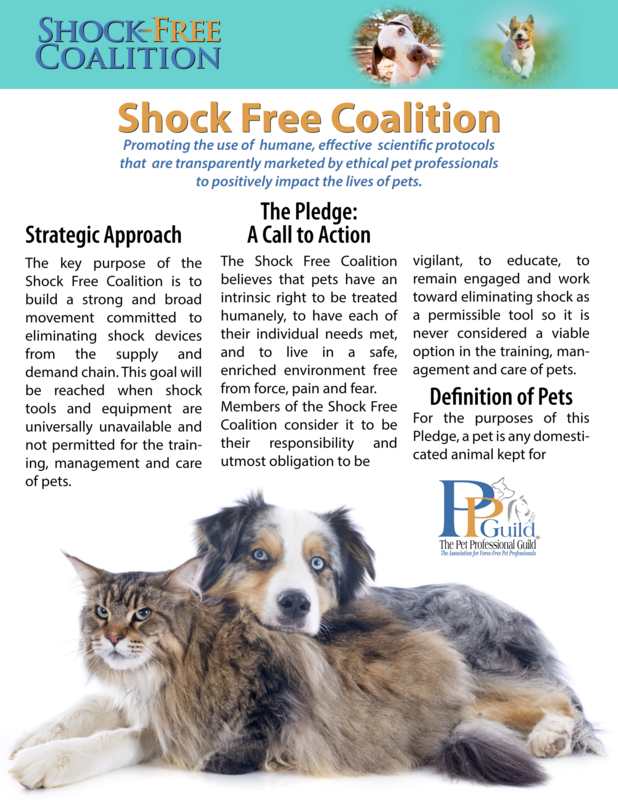 Shock collar and electric fence companies will tell you they’re not harmful when used ‘correctly,’ but this is false. 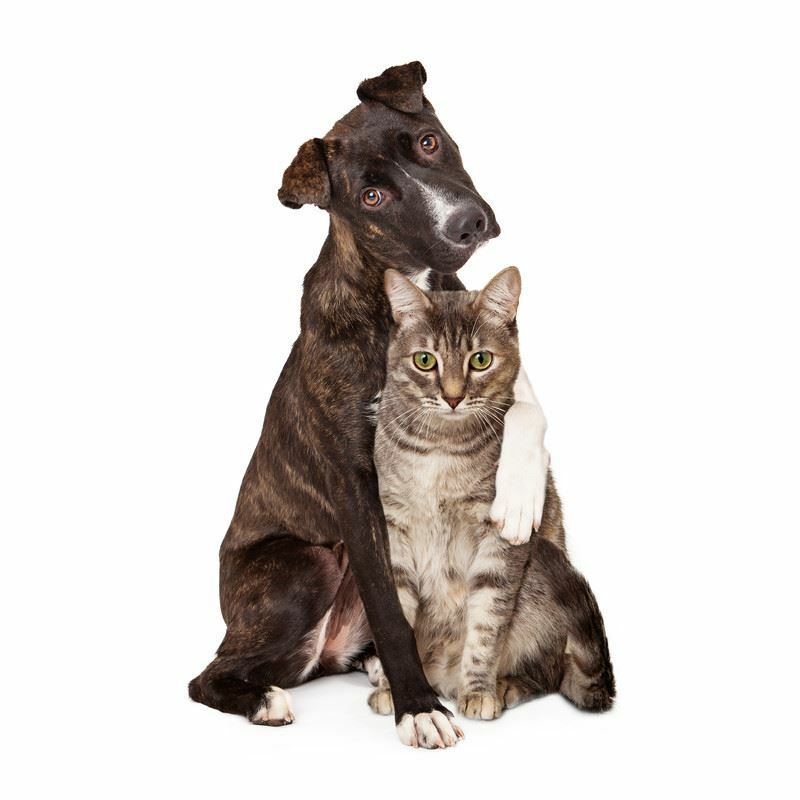 What they don’t tell you about is the damage these devices can do, both to the human/canine bond and to a dog’s emotional stability. 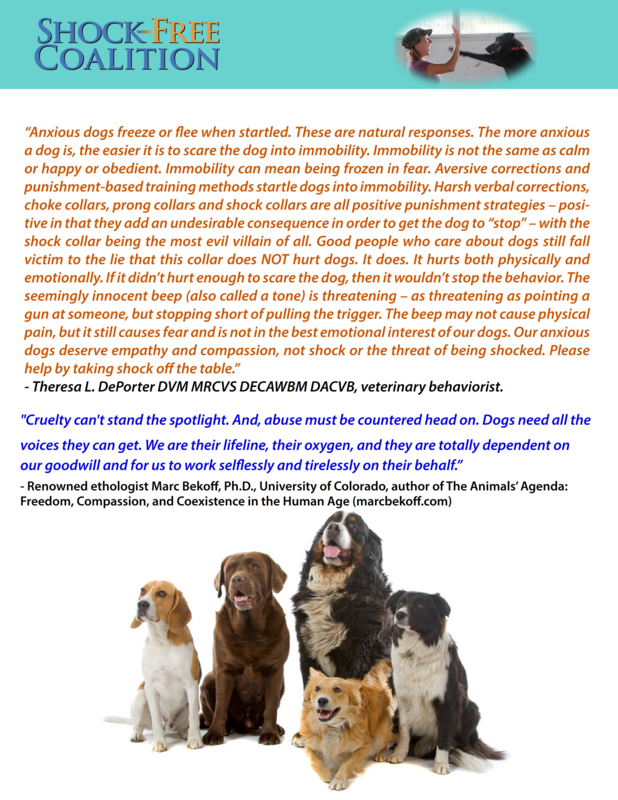 The ineffectiveness of these tools in terms of emotional shutdown is common and research has also effectively shown that using shock to train dogs is ultimately harmful and should be avoided at all costs.” - Victoria Stilwell, dog behavior expert and trainer, host and presenter of Animal Planet’s It’s Me or the Dog.